Obituary for James J. 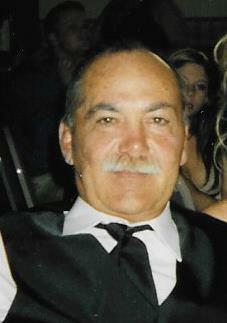 "Sluggo" Sluganski | Thomas J. Gmiter Funeral Home, Inc.
Age 66, passed away peacefully on Friday, May 4, 2018, surrounded by his family. Beloved husband of Sissy Sluganski; son of the late Joseph and Anna Sluganski; son-in-law of Alphonse and Betty Mosco; brother of Karen (the late Robert) Zawicki, Gail Sluganski and the late Judy (Al) Hovanec and Robert Sluganski; uncle of Brandi (Tim) Recker, Christi (Eric) Dusch, Rachael (Shawn) McClelland, Grant Digby, Emily (Bob) Merski, Ronnie (Leslie) Mosco, Doug (Melanie) Mosco; and Pete, the cat; brother-in-law of Homer (Marlene) Mosco, George (Joann) Mosco and Debbie Digby; also numerous Godchildren and friends. Visitation on Wednesday 2-4 and 6-9 PM in Thomas J. Gmiter Funeral Home, Inc. 2323 E. Carson St., where service will be held Thursday 11:00 AM. In lieu of flowers, donations may be made to a charity of your choice.